Imaging in veterinary medicine has advanced greatly since the first radiographs (x-rays) were taken of pets just decades ago. Now there is a multitude of imaging tests available to help diagnose and treat diseases in our pets. These tests include radiography (x-rays), ultrasound, CT (or CAT) scans, and MRI scans. Each of these tests has its own advantages and disadvantages, and will provide the veterinarian with different information. Many of these tests are available in general veterinary practices, but some, such as CT and MRI scans, are most often performed by specialists in large referral practices. 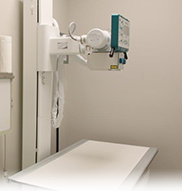 A radiograph, commonly called an x-ray, is a black and white two-dimensional image of the interior of a body. An image is generated by passing radiation through a particular structure or area, such as the chest or a limb, and the image is then captured. The traditional way of recording the image is on specific x-ray film that senses how much radiation passes through the structure and reaches the film, much like photographic film captures light. The denser a tissue is (such as bone), the whiter the image is on the film. Less dense structures, such as air in the lungs, allow almost all of the x-ray energy to pass through to the film, turning that area black. 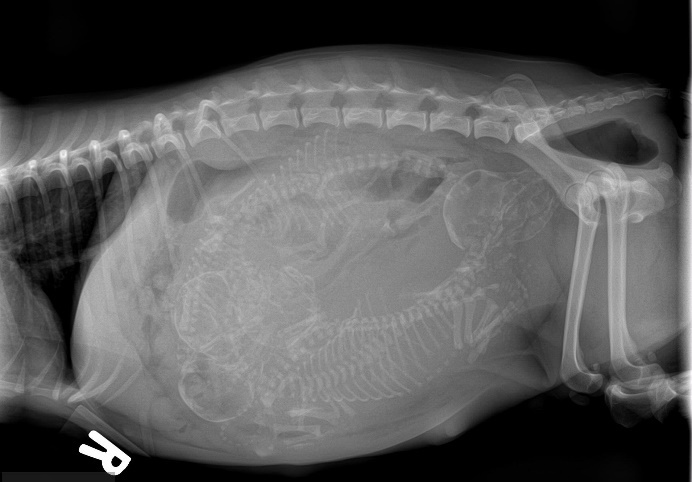 Radiography is the most common and readily available imaging test in veterinary medicine. It is used to evaluate the size and shape of organs such as the heart and lungs, as well as to demonstrate fractures (broken bones), some foreign objects, fluid accumulation and many more abnormalities that may aid in diagnosis. At Roswinn Pet Hospital, we have a board certified ultrasonographer who comes to our practice to perform the ultrasounds. Unlike radiographs, no radiation is used in an ultrasound. An ultrasound uses sound waves. The ultrasound waves move out from the wand and either become absorbed into organs, pass through them, or are reflected (echo) back. Depending on how many sound waves are absorbed or reflected, an image of the internal organs is formed that can be seen on a monitor. Ultrasound is painless and does not require anesthesia or even sedation in most cases. For an ultrasound evaluation to be done, the pet needs to have the hair shaved from the area to be evaluated, as hair will interfere with the images.